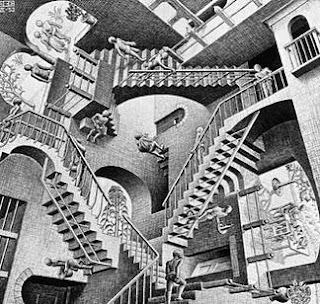 John Speed is arguably the most famous of all the British cartographers. His Theatre Of The Empire Of Great Britaine, first published in 1611, was the first atlas to cover all of Great Britian and included innovations such as inset plans and views of local landmarks. 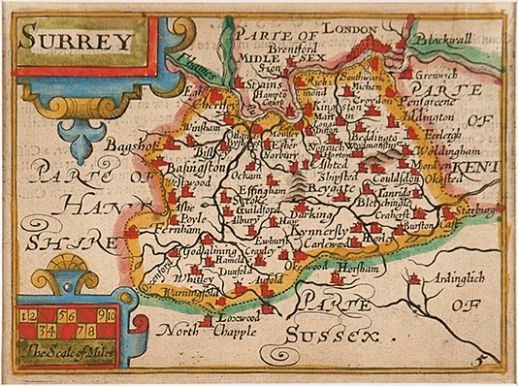 This map of Surrey was published as part of the 1676 edition and features attractive inset views of the long-since destroyed Richmond and Nonsuch Palaces. If you haven't got the space or the cash to accomodate a Speed map then it is still possible to own a 17th century map of your county. 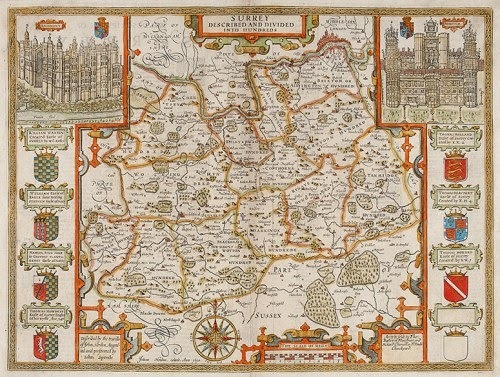 Pieter Van den Keere's charming pocket-sized county maps, known as the 'Miniature Speeds', were published to coincide with the later editions of Speed's Theatre Of The Empire of Great Britaine and make an affordable addition to any collection. 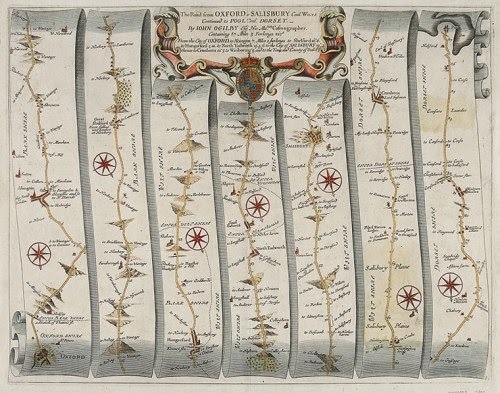 Our new stock also includes a selection of John Ogilby's road maps. The first atlas of it's kind, it is fascinating to imagine how these would have been used by travellers of the day! 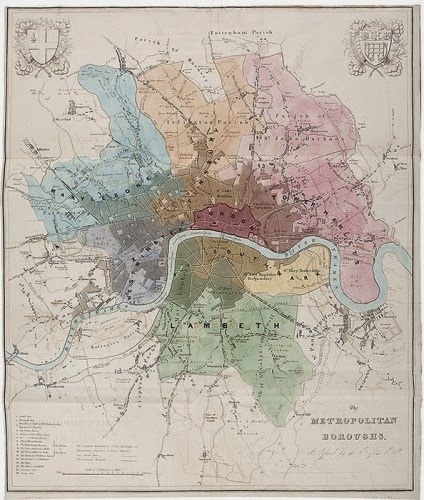 Moving on a few hundred years Robert Kearsley Dawson's 1832 map of the Metropolitan Boroughs of London shows the capital as defined by the Reform Bill of the same year. A document of our political history, it shows the parlimentry boroughs of Marylebone, Finsbury, Tower Hamlets, Westminster, London, Southwalk and Lambeth with the map extending from Tottenham in the north, West Ham in the east, south to Norwood and west to Kensington.